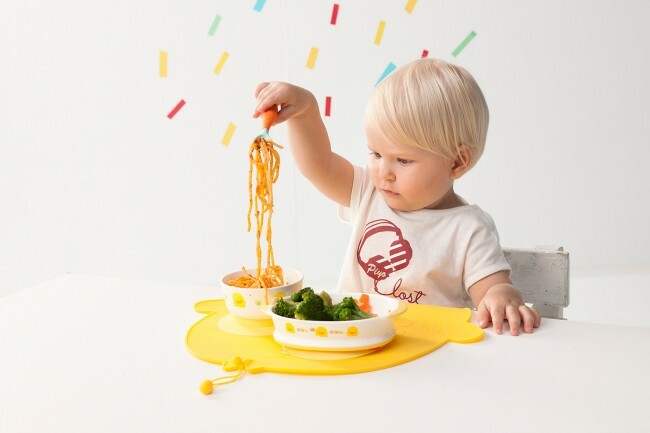 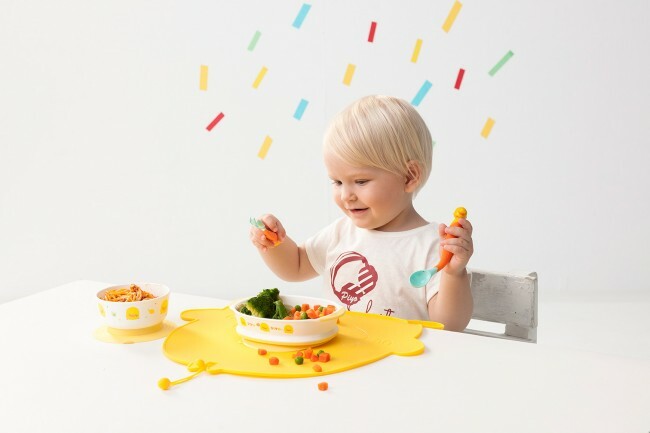 This two-piece Piyo Piyo Duckling Bendable Spoon and Fork Set is heat sensitive and allows your child to eat either right-handed or left-handed. 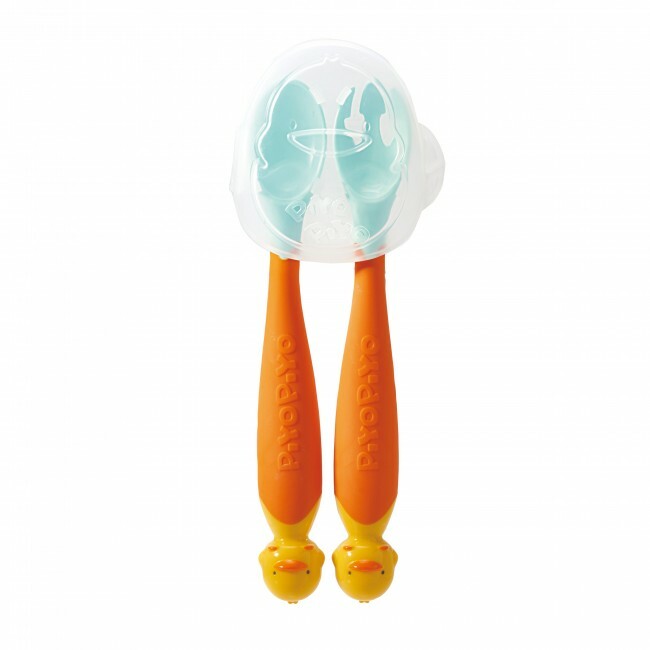 The unique bendable grip joint design received a multinational patent. 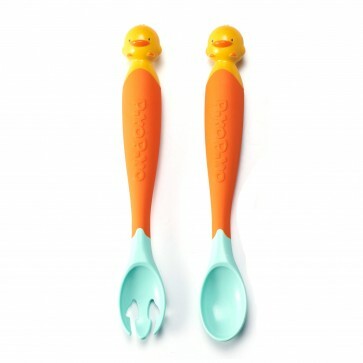 Spoon is designed to give the perfect bite size for babies' little mouth.